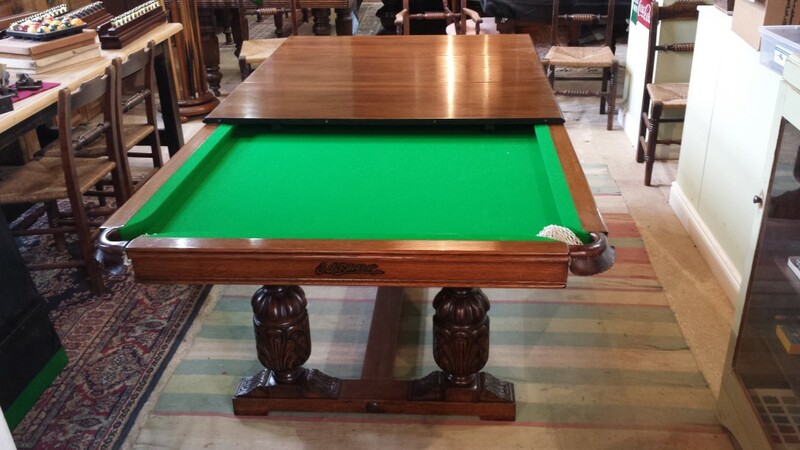 Snooker Tables:Before and After | Browns Antiques Billiards and Interiors. 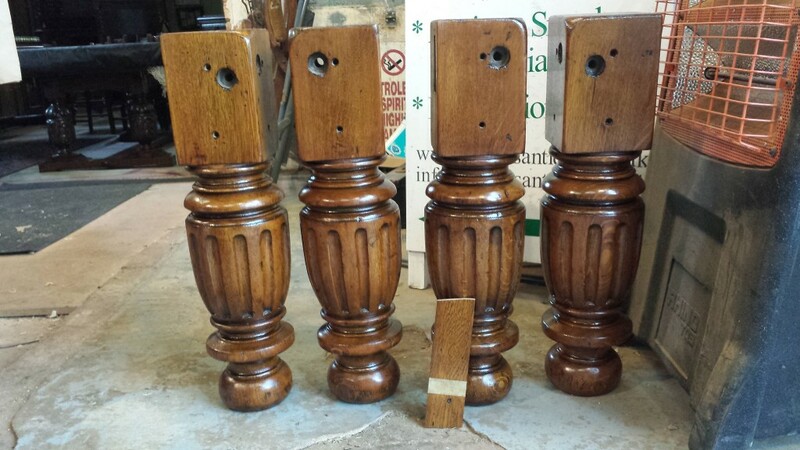 Below are some examples of antique snooker tables we have sold. Images show before and after pictures, and the work carried out to get the tables ready to sell. Please click on any heading or image below to view more images for each table. 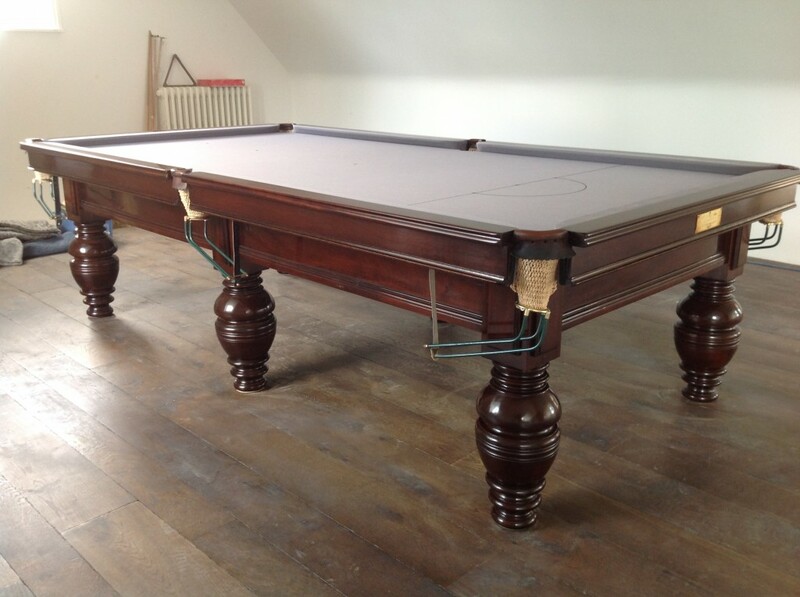 Riley 6ft antique snooker dining table with barley twist legs. AFTER. 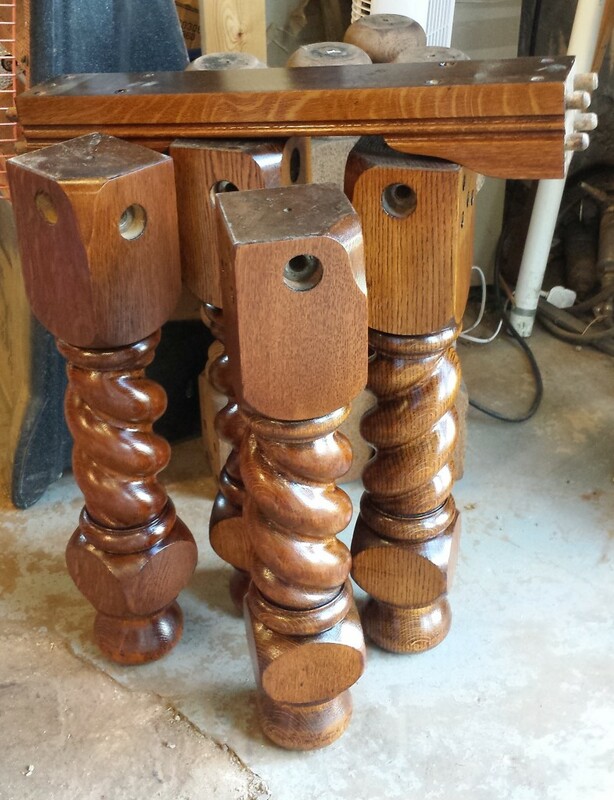 Polished table legs on Riley barley twist antique snooker diner. AFTER. Smarts snooker table polished to match colour sample. 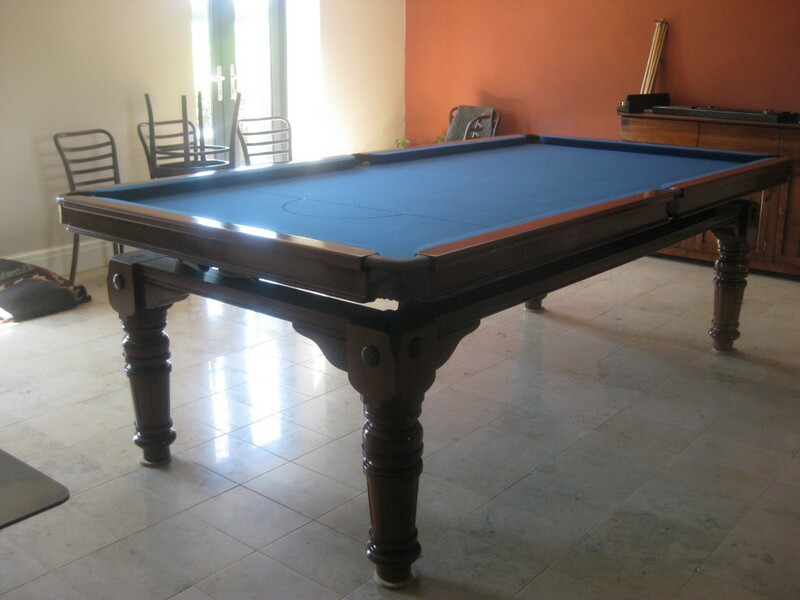 Riley 7ft Antique snooker dining Table, refectory style. Antique Riley snooker diner with dining leaves. 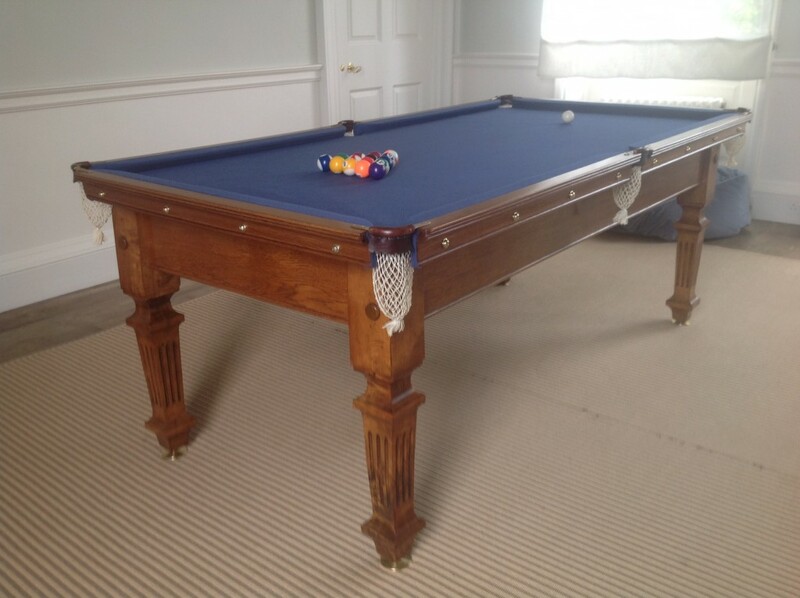 Riley 8ft antique snooker dining table, blue cloth.